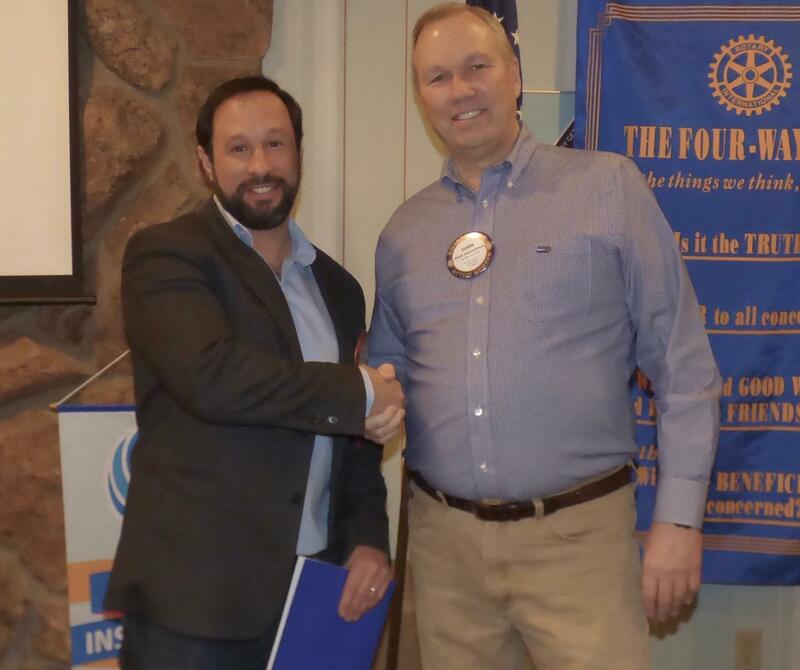 Dave Slossberg, left, receives his red badge from Rotary Club of Castle Rock membership chair Clark Hammelman. Welcome to the club, Dave. The club meets Wednesdays at 7 a.m. at the Village Inn restaurant in Castle Rock. Visitors are always welcome.